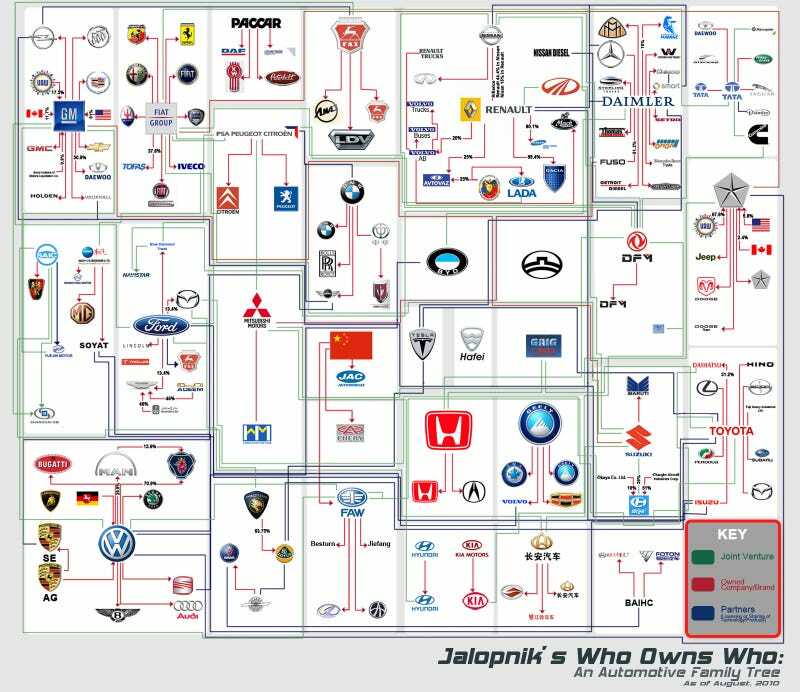 In 2008 we showed you this automotive family tree. Two years and a Carpocalypse later, everything's changed. So we've created an up-to-date automotive family tree. Except now brands and automakers are so interconnected it's more like a giant circuit board. Click the picture above to embiggen the image. Or right click and save it to your hard drive, email it around, slap it on your desktop — we don't care — whatever you want to do with it. We'll be trying to constantly update it every month or so, so bookmark this page and come back to it — just to make sure you're always in the loop on "who owns who!"